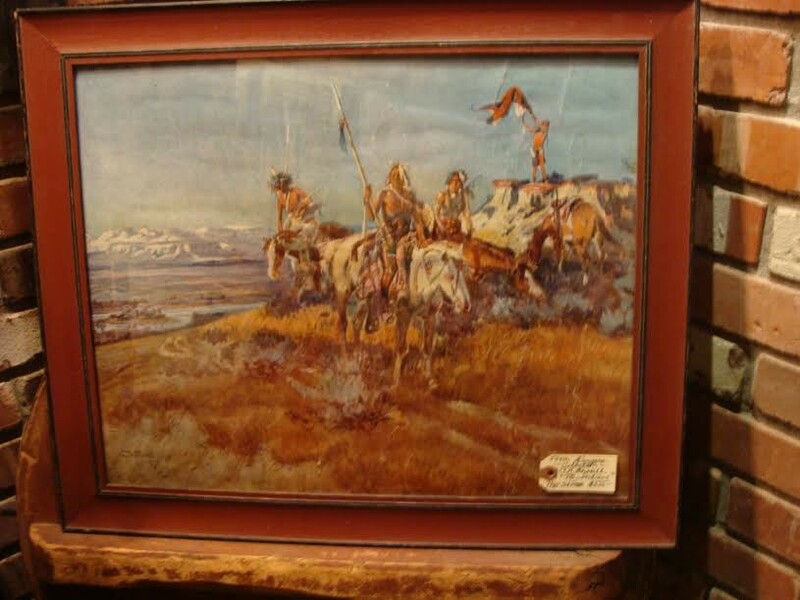 Here is a very early Charles M. Russell Print Framed known as “The Smoke Signal” . The Blackfeet Montana Nation Indians preparing for Buffalo Hunt. Painted in 1922, the dimensions are 23 1/2” X 19 1/2” inches. Here is a very early Charles M. Russell Print Framed known as “The Smoke Signal” . The Blackfeet Montana Nation Indians preparing for Buffalo Hunt. Painted in 1922, the dimensions are 23 1/2” X 19 1/2” inches. Very rare. Please email cowboycabin@centurytel.net with questions or call 406 270-2842.